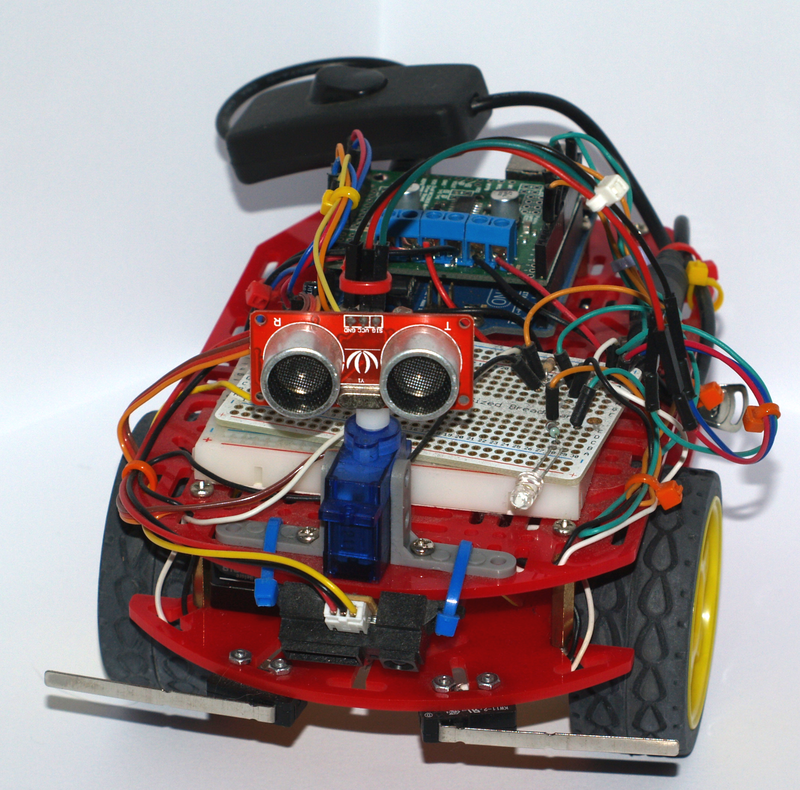 Today we will take a detailed look at my Roaming Robot. 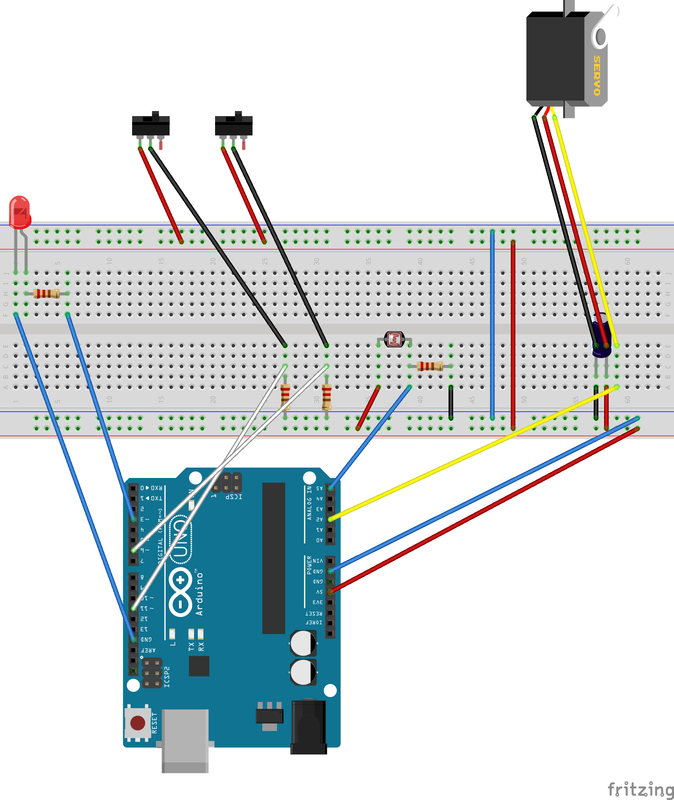 The Pololu Dual MC33926 Motor Driver Shield plugs into the Arduino female headers and all connectors shown in below diagrams actually plug into the Motor shield and not directly into the Arduino as shown. The two switches shown are actually the 2 long arm trigger switches. The circuit shown above is very straightforward. However note the capacitor across the servo power terminals. 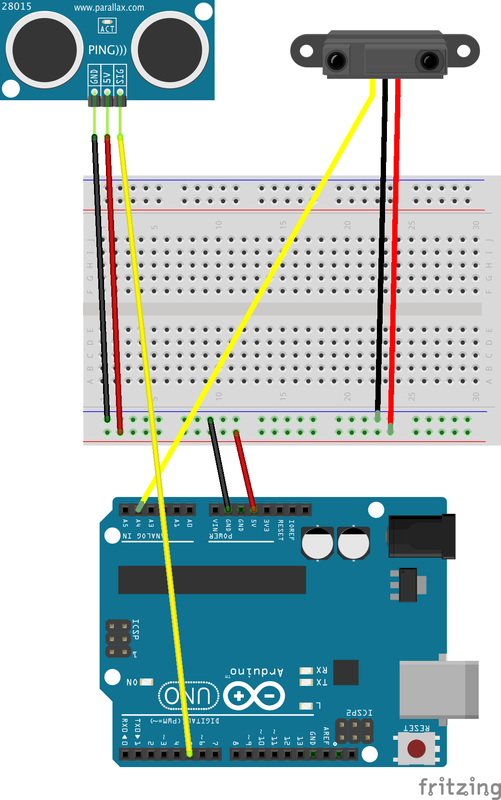 This is to prevent a voltage drop in the circuit caused by the servo starting to move, which draws more current to start moving than when it is already moving. 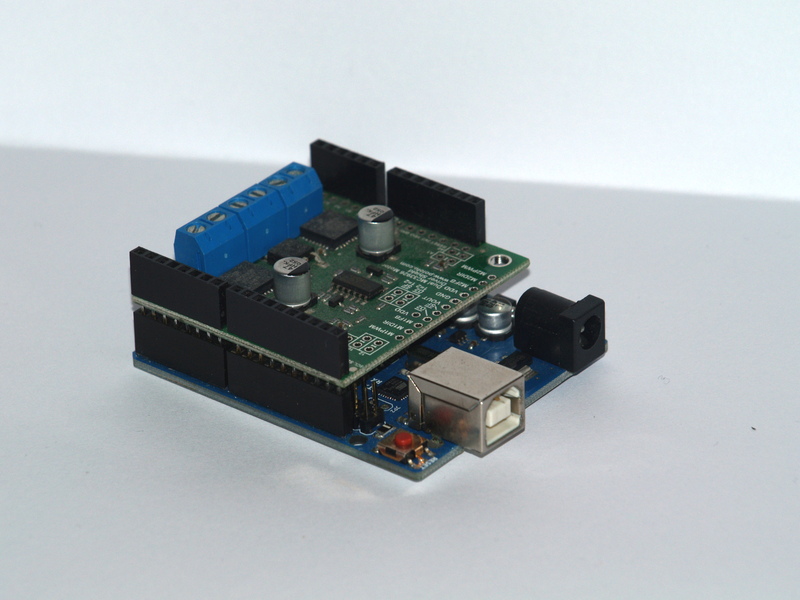 The Arduino VDD (5V) and GND pins are used to power the PCB\Breadboard. 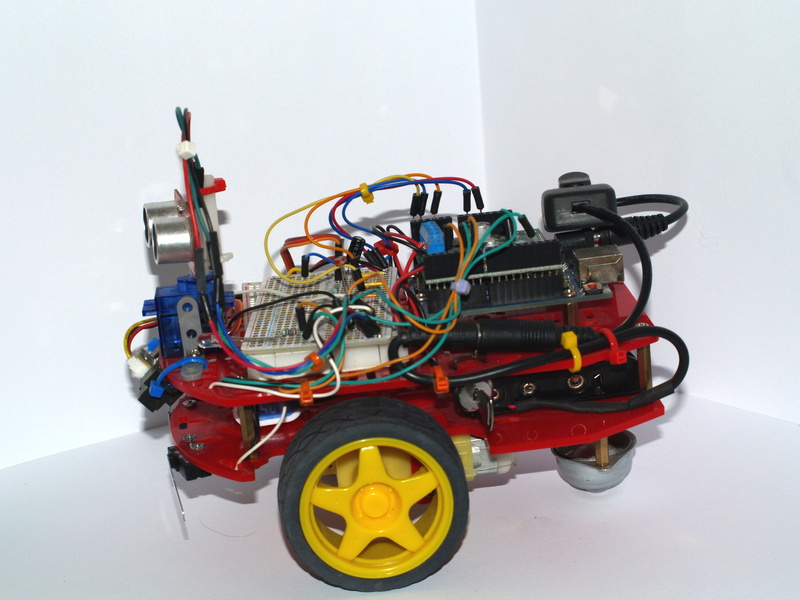 The Servo acts as the robots’ neck, it can turn the Ultrasonic Sensor in various directions. 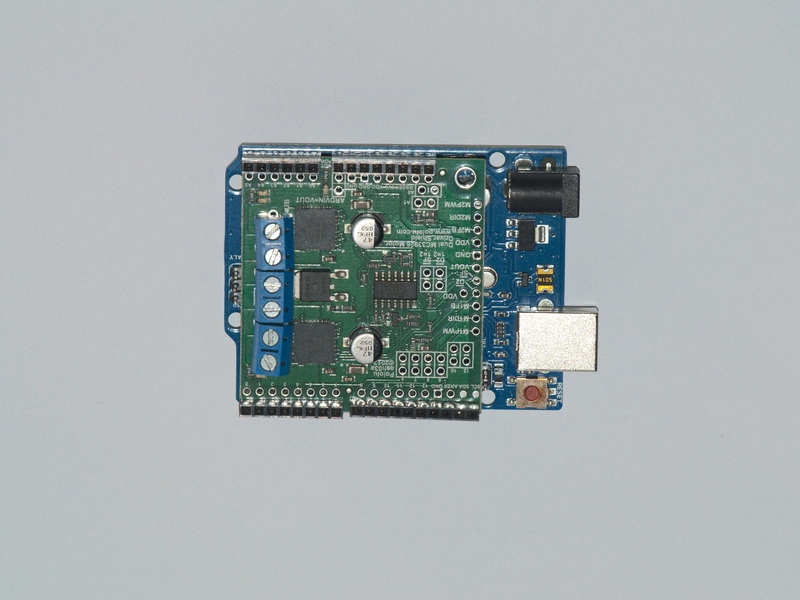 The Ultrasonic Sensor is used to detect obstructions, which the robot will then avoid, for obstructions too low for the Ultrasonic Sensor to detect the trigger switches will be pressed and the object can then be avoided. 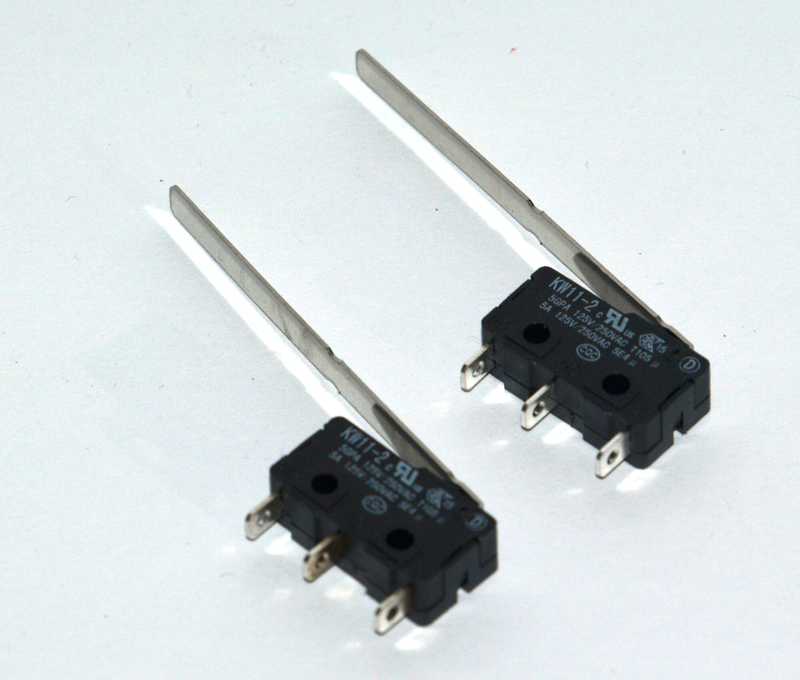 The Photo-resistor is used to detect light level and if it is deemed too dark the LED will turn on. 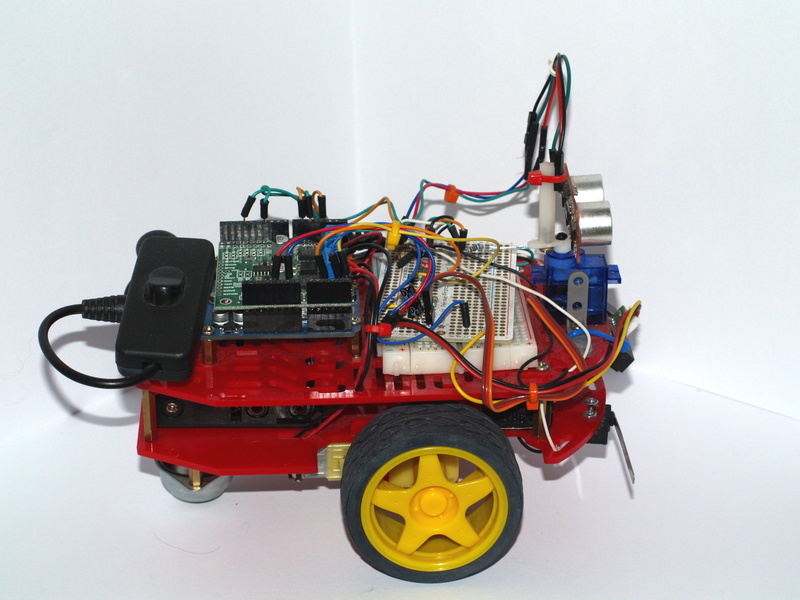 The IR sensor is used to detect drops, so that the robot does not fall down a vertical drop, such as a step.